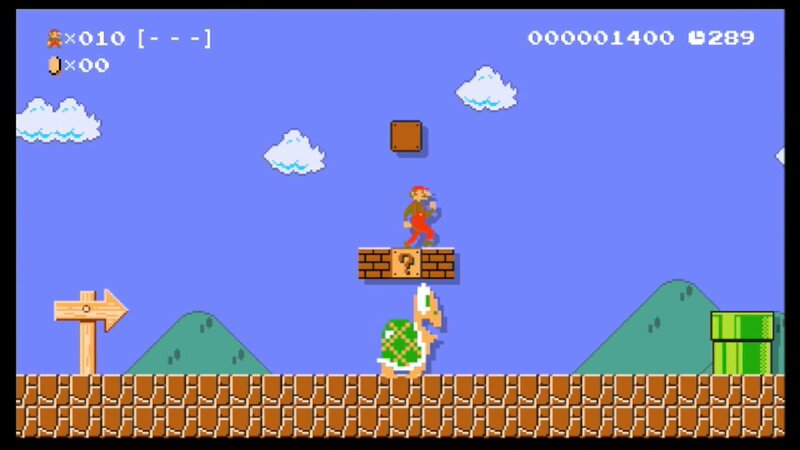 Super Mario Maker is full of surprises, as Shacknews Showcase's Andrew Zucosky is finding out. Join him for a look at how to create levels, jump into the new game modes, and... witness something that probably should not be. Super Mario Maker is just weeks away from release and the Shacknews crew is wasting no time learning the ins-and-outs of creating our own stages. Everyone has to start somewhere and Shacknews Showcase's Andrew Zucosky is here to learn the ropes. Watch the video below to see how to go about creating simple stages, while also learning more about the game's other features and some of its unique mushroom power-ups and...oh dear lord, what... in the heck is that? There will definitely be more from Super Mario Maker in the coming weeks. To get that and all your other video game needs, be sure to subscribe to Shacknews on YouTube. I didn't know I needed Mario-vania until now. That gets me thinking. I wonder if there's a limit to how large and labyrinthine you can make levels? I want the spoiler now.